The summer is here in full swing and I feel that it is slipping quickly through my hands like sand. Before I know it, the girls will be in school every day (no more home school) and so I am trying to enjoy every minute I can with them. We have been busy camping. In fact, we spent nearly 50% of the month in our camper. The girls love riding bikes, hiking and of course, sitting around the campfire while daddy strums the guitar and they gobble down s'mores. The days we are home are filled with swim lessons, dance lessons, piano lessons, library time and lots of reading, painting and long days at the pool. And of course, my baby turns six this summer. (It is so hard to believe!) So, in the next week or so, I will kick into high party planning mode. Anyone who knows me, knows party planning is my thing. My husband doesn't quite understand the entire themed party, but the girls and I have so much fun planning and making up games that are theme related. This year, we are planning a beach theme party with lots of outdoor water fun. I love it now that the girls are older and can help come up with fun games! 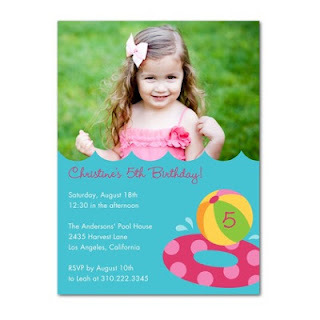 Of course, Tiny Prints has all sorts of great party invitations. Here are a couple I am looking into getting. I am still trying to decide if I want to add her photo or not. Aren't they adorable? And perfect for a beach themed party! Be sure to check out Tiny Prints website. They have oodles of amazing invitations for any type of get together you can imagine. 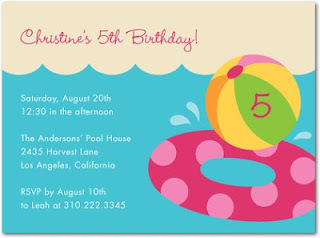 Tiny Prints is offering 25 invitations to one of my lucky readers. Just enter the easy Rafflecopter below. Disclosure: Thanks to Tiny Prints for hosting this giveaway and offering me 25 invitations in exchange for this post. I love the Birthday ones! thanks for a great giveaway! teen birthday - invitation application. Looks like an ipad! I like the birthday Girl ones...adorable! The legos birthday for my boy, and the teapot or the ballet birthday prints for my girls. These invitations are perfect especially since I just got engaged! I would love to enter in this giveaway! Thank you so much for allowing me to enter!